The story of Techniques d’Avant Garde (TAG) Heuer’s strength, performance and the journey of Swiss precision begins in the late 1800’s when great fashion maestro and well known watch manufacturer Edouard Heuer founded the Swiss luxury timepiece company. 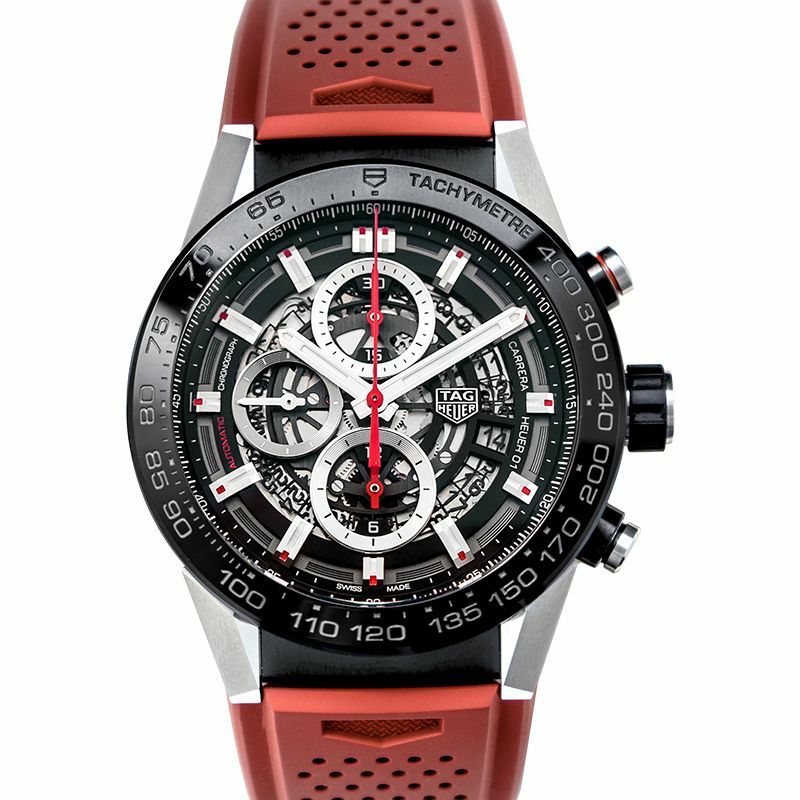 Now TAG Heuer Carrera is the most-coveted wristwatch brand among the bravest endurance car drivers, sports passionate and active gentlemen for its precision engineering and cutting edge design and modular constructions. WHAT MAKES TAG HEUERRA SO SPECIAL? DiCaprio states TAG Heuer’s Carrera Chronograph as his lucky brand the Carrera model is also seen to be appearing on Brad Pitt’s wrist. It’s no surprise that the Swiss brand TAG Heuer is the favorite name among the Hollywood elites as- Matt Damon and Uma Thurman. It’s time to pay attention to what makes this sport watch luxury brand so popular among Sport Passionate and Hollywood Elites. Firstly, TAG Heuer is renowned for their phenomenal sport luxury watches and is ideal for gentlemen who are sport passionate. 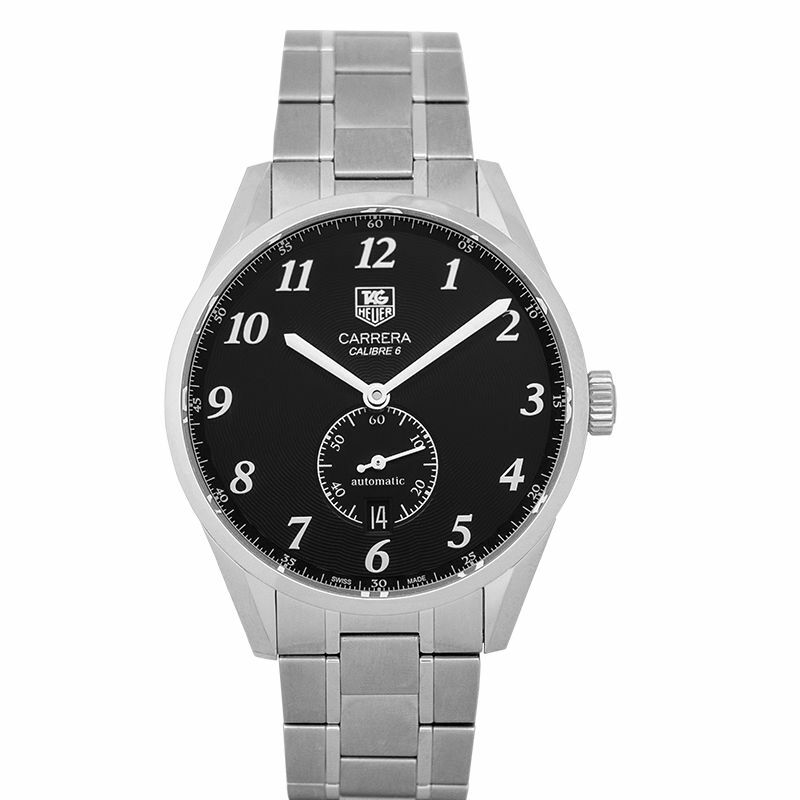 First designed back in 1963, the Carrera became one of the watchmaker’s most coveted creations. Secondly, it is because of this prestigious brand’s high craftsmanship and precise movements along with being the true designer watch which focuses on the comfort of the wearer. The word ‘Carrera’ means ‘road’ and ‘race’ and the TAG Heuer name resembles with cars and racing. The Carrera collection from TAG Heuer is the phenomenon series of timepieces which takes the name from Mexican Carrera Panamericana Race. The TAG Heuer Carrera hits the market on 1963 with the revolutionary sport chronograph watches. Currently it’s been 55 years of the iconic Carrera with the TAG Heuer brand and happens to be one of the most recognizable iconic timepiece brands which have set a benchmark in the world of chronograph. The Carrera models are always waterproof and anti-magnetic and the markers in the dial are always well-spaced to make the reading in the chronograph as easy as possible. Over the years, Calibre 16’s Valjoux movement, automatic movements, Caliber 360 and different dial configurations along with date variations have been produced in the Carrera range and today this range is both TAG Heuer’s past and future. TAG Heuer Carrera watch stays as the leader in being the racing’s finest and the classic yet contemporary luxury sports watch. 1. The Heuer Carrera Chronograph embodies the TAG Heuer’s legendary heritage in the motorsport of the world and was intended for racing aficionados. 2. The Carrera series was first launched on 1963 with the advent of the 60s classic motor-racing inspired chronograph. Altogether, till 2013, ten generations of Carrera has been identified. 3. There are 6 distinctive TAG Heuer models that are Carrera-related but not quite Carreras. 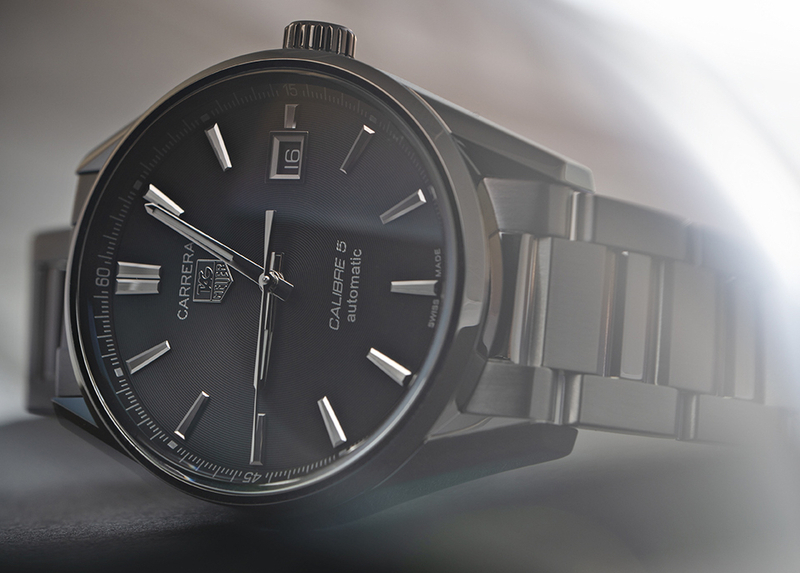 TAG Heuer Mikrotimer utilizing the Carrera’s lugs and opens. 4. Currently in 2018, TAG Heuer won one of the top awards in the Red Dot Design Award as recognition to their product design. 5. To celebrate the 55th anniversary of Heuer Carrera, TAG Heuer Carrera Tête de Vipère is the first ever chronograph from TAG Heuer to earn the “Tête de Vipère” stamp of excellence. 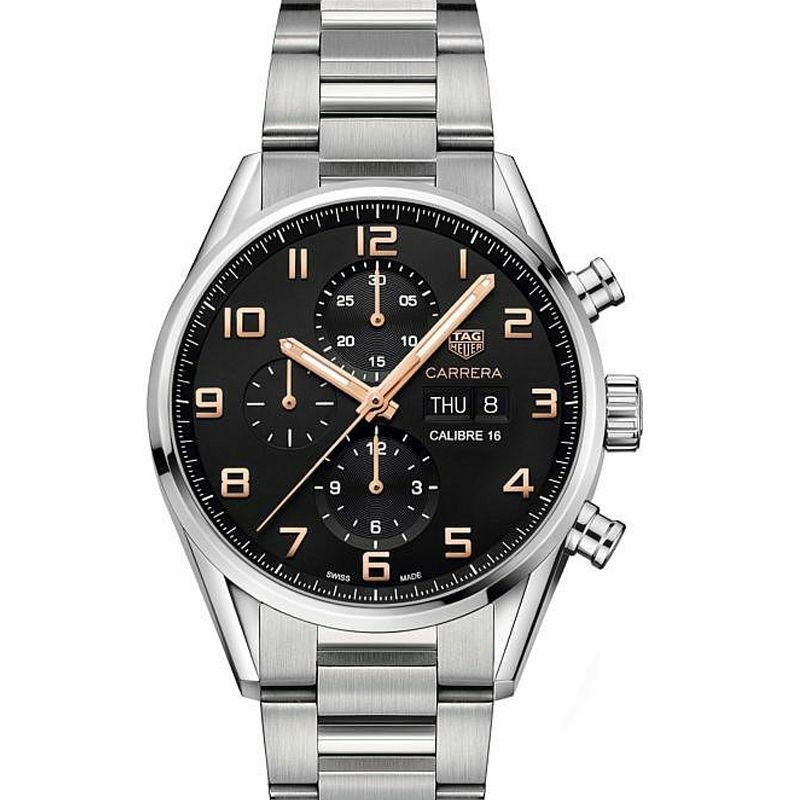 The watch features HEUER 02T Calibre and the striking dial comes in Rhodium plated accents while the steel sapphire case altogether creates a masculine timepiece. The TAG Heuer Carrera Tête de Vipère Chronograph Tourbillion Chronometer comes in limited edition of 155 pieces and retails for AU$26,750. TAG Heuer Carrera Calibre 16 Chronograph comes with either a blue or black ceramic bezel or the chronograph hands are bright lacquered red color. Along with Healthy power reserve of 42 hours the indestructible self-winding mechanism and successful chronograph movement. The avant-garde styled watch is presented on a 43 mm wide case made of Grade 2 Titanium comfortable black leather strap. Keeping the technicalities aside, the Carrera Calibre 1887 is the most smartest Carrera and also happens to be the most spotted and favorite timepiece of Leo DiCaprio. The new version of it with the comfortable brown alligator strap and rose gold hours is seen on him on almost every event. Carrera Calibre 6 Chronometer is a vinTAGe inspired luxury timepiece with the stardust dial featuring Jack Heuer 80 Carrera‘s dial options. T comes with COSC Certified chronometer. Calibre 36 Flyback Chronograph is titanium-cased and uses the 60s chronograph with the 63s Carrera’s case design and the design layout of Heuer’s 60s classic stopwatch designs. All together the Calibre 36 Flyback is a modern and sprty looking racing model. The watch inspired by the haute horlogerie Carrera Mikrograp comes with Superior power reserve of over 50 hours and what more? Cristiano Ronalo has been seen to sport with this timepiece. JuanManuel Fangio was known to be the inspiration bhind the first Carrera and Calibre 16 Day-Date Manuel Fangio is the watch dedicated to this greatest F1 (Formula 1 ) driver.